The Central Government General Budget Proposal for 2019 passed its third reading in the Legislative Yuan on Jan. 10, including NT$400 million set aside by the Ministry of Culture for the Public Television Service Foundation to use in setting up a Taiwanese-language television station. The foundation, which submitted a proposal for such a channel to the Ministry, plans for it to begin broadcasting later this year. Following in the wake of public support that led to the establishment of Hakka TV and Taiwan Indigenous Television, this upcoming Taiwanese-language station will be a new milestone in Taiwan's promotion of equal cultural rights and the revitalization of the nation's linguistic heritage. These three channels constitute an important step in protecting the right to communicate in one's mother tongue as laid out in the National Languages Development Act and in driving the revitalization, development, and ongoing survival of those languages. 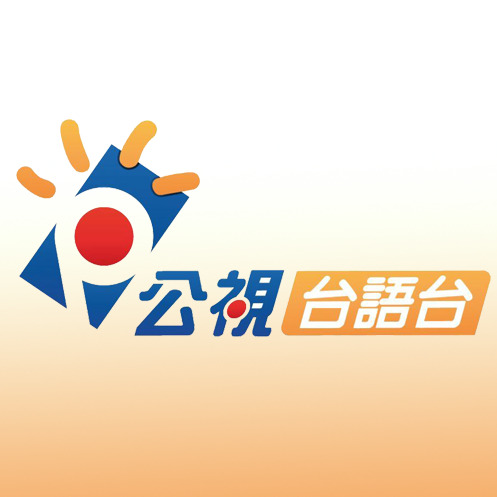 Taiwan has already established public media outlets for Hakka and indigenous languages through governmental support, and in its ongoing effort to realize equal cultural rights, the Ministry of Culture has been actively pushing for the establishment of a Taiwanese-language station under the auspices of the Public Television Service Foundation. In addition to government grants subsidies of NT$90 million for PTS and Chinese Television Service (CTS) to produce Taiwanese-language programming approved last year, the Ministry has been working to secure a budget for a Taiwanese channel. In a meeting chaired by Premier Lai Ching-te (賴清德), the budget was formally approved on Jan. 10, with NT$400 million to be allocated to the Public Television Service Foundation to set up the new channel. The Ministry will continue working with the National Communications Commission to help PTS get the channel operational. On Dec. 25, 2018, the National Languages Development Act passed its third reading in the Legislative Yuan, and on Jan. 9, 2019, it was officially promulgated by the Office of the President. The Act states that corporations engaged in media communications that receive government funding shall provide diverse services in national languages and establish telecommunications services through various media outlets, including dedicated radio and television services, in those languages. Of the NT$400 million budget approved, NT$300 million will go to the PTS Foundation's work to establish the new Taiwanese-language channel, produce programming for it, engage in marketing, and develop talent for the channel. The remaining NT$100 million will assist CTS in producing Taiwanese-language materials. Programs by CTS and PTS will both air on the new channel. Both the Public Television Service Foundation and CTS had submitted proposals for a Taiwanese-language channel to the Ministry of Culture, and after review by experts and scholars and subsequent revisions, both proposals were approved. Additionally, while the budget has passed its third reading in the legislature, a supplementary resolution was put forward during the review to freeze NT$80 million of the budget, which will be restored after a report on the project. In response, the Ministry of Culture will arrange the next meeting as soon as possible for a report to be presented, and continue to supervise the Public Television Service Foundation’s work to ensure production processes adhere to rigorous standards and produce quality programming that is up to public expectations. Through this, the Ministry aims to create a more Taiwanese-friendly environment and have the channel up and running smoothly by mid-2019. Visitors Today:142. All Time Visitors:1,229,949.